Is There Local Beer in the World's Smallest Countries? We’ve preached to anyone who would listen that breweries come in different shapes and sizes. There has been no secret sauce when it comes to the places that these breweries call home. From large cities to extremely small towns, we have examined hand crafted beer that makes an area tick. The one constant for all of these breweries though, was that they may have been in small towns, but they were still in large countries. One of the top rated beers in the world comes from a town of 8000 people, but that town is in a state of 3 million people in a country of over 300 million. Once the word spreads in those conditions your beer can take off like wildfire. With the assistance of existing infrastructure, a pilgrimage to your beer spot – even in the town of 8000 – isn’t all too hard. What happens in really tiny countries though? I’m not talking about countries like Switzerland that are smaller than their neighbors but when you look on a map you can still see them. I’m talking about the tiny countries that have half of their name spelled on your globe and an arrow that looks like it’s pointing to a different country because they are so small. With the recent news that 2 of the world’s largest brewing companies are on the fast track to becoming one, can you find a local beer in any of these infrastructure limited countries or are you destined to drink a macro beer as you duty free shop? And along those lines, why do I care about these small countries beyond duty free shopping? Is there something beyond tax breaks that will make me want to have any kind of beer in a small hard to reach place? Small countries, you’re on the clock. Tell the people what you have to offer and what kind of suds you have available for them. This is one of my favorite small countries. Based on square kilometers, Liechtenstein is the 6th smallest country in the world. It is nestled right in the heart of Europe, bordering Austria and Switzerland. 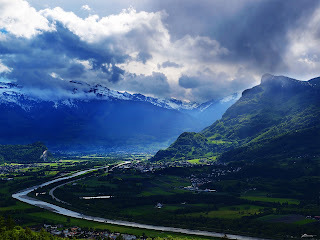 This location gives Liechtenstein a great view of the Alps, or more generally means this country is gorgeous – which is why I loved it. Because of its tiny size, the government of Liechtenstein is very tax friendly, so all of your luxury shopping can be done much cheaper than in neighboring countries. Traveling here is relatively easy as well due to its location. There are no international rail stations in the country, but there are train stations at both the Swiss and Austrian borders. From there you can hop on Liechtenstein’s fantastic public buses which will take you anywhere in the country you need to get. Being located in the heart of Germanic Europe, you would assume beer would be easily accessible in Liechtenstein. You would be correct now, but up until 2007 all of that beer would have been imported from neighboring countries. Don’t get me wrong, Liechtenstein’s neighbors make some great beer. But we are all about the local spin on the fantastic tradition of brewing. There are now 2 breweries in this tiny slice of heaven, the Liechtensteiner Brauhaus and the Prinzenbrau Brewery. Both brew traditional lagers and wheat beers for your enjoyment well you check out the castles of this tiny mountain hamlet. They also offer tours so you can check out how these Germanic brewers differ from their neighbors. Though the country is home to less than 40,000 residents, you can enjoy beer in Liechtenstein that is brewed by hand, locally. San Marino takes pride in being the world’s oldest republic. It should also take pride in its stunning location resting above the Italian countryside with sweeping views of the Adriatic coastline. San Marino is the 5th smallest country in the world. In land area it is about one tenth the size of New York City. Like Liechtenstein, San Marino is home to less than 40,000 residents. Because of its size, San Marino’s main economical driver is tourism, and though there is no train service to San Marino you can hop on a bus or take a car from the Italian coastal city of Rimini. With shops galore and the stunning views mentioned above, San Marino is a great stop on your Italian adventure. Though the Italian Peninsula is more synonymous with the production of wine and spirits like limoncello, beer has always had an important role in Italy as well. Though you won’t find breweries in every town like you will in countries that border Italy to the north, you will have no problem finding a beer. Luckily for all travelers to San Marino, 2010 marked the year that the beer served there became local. Titanbrau opened its doors and began producing 4 distinct lagers – from blonde to red – and added to the reasons to seek out this tiny republic surrounded by another country. If you’d like to check out their operation – or even have your wedding reception at the brewery – stop in the town of Serravalle, San Marino on your way up or back from the city of San Marino. Nestled high in the Pyrenees Mountains bordering Spain and France is the small country of Andorra. Like the previous 2 spots, Andorra ranks among the world’s smallest in terms of land size. Andorra is a little larger than the previous two entries, coming in as the 16th smallest country on the list. 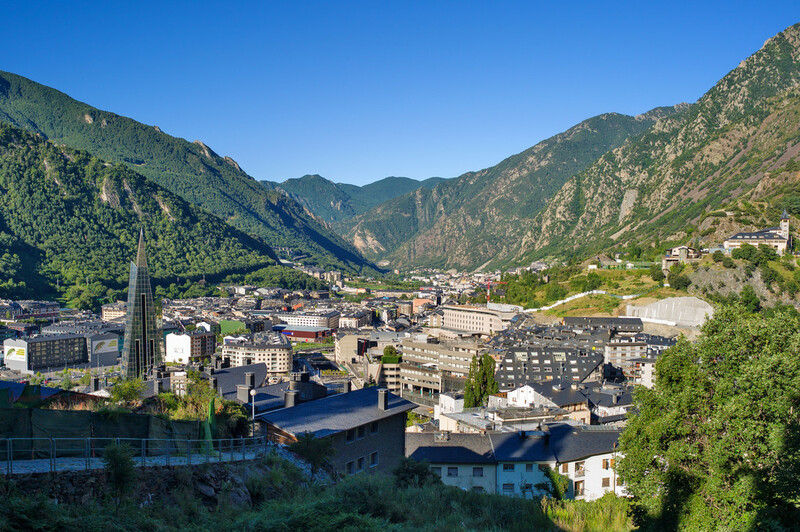 Andorra, like the other small countries, sustains its economy through tourism. Like other small countries, Andorra draws people in with duty free shopping and a banking tax haven. What Andorra has that is unique is a wonderful backdrop for skiing. Andorra’s capital, Andorra la Vella, is the highest capital city in Europe and is a short trek to the ski resorts. Similar to other small countries, Andorra is not serviced by any rail networks, nor does it have an airport. It is accessible by car and bus, with a bus that runs from a train station near the French border. So is this the country that you have to drink a large brewery beer from Spain if you want some suds? I mean, like San Marino, it’s smack dab in the middle of 2 largely wine producing nations and really doesn’t seem to have any cultural ties to beer. Well, thanks to the beer revolution worldwide, Andorra does have a local brewery. It is a small – which seems to fit with the theme – brewery with a tap room. The brewery is Cerveses Alpha Andorra and unlike the more traditional lager breweries from above, Alpha is more in line with the craft breweries in America that brew many styles. You’ll be able to snag a stout or pale ale from Alpha – mostly in bottles as their tap line is usually reserved for their pilsner. The brewery is located outside the capital in La Cortinada, perfect for a beer run on your way to the slopes. Of the small countries in Europe, Luxembourg is probably the most recognizable. 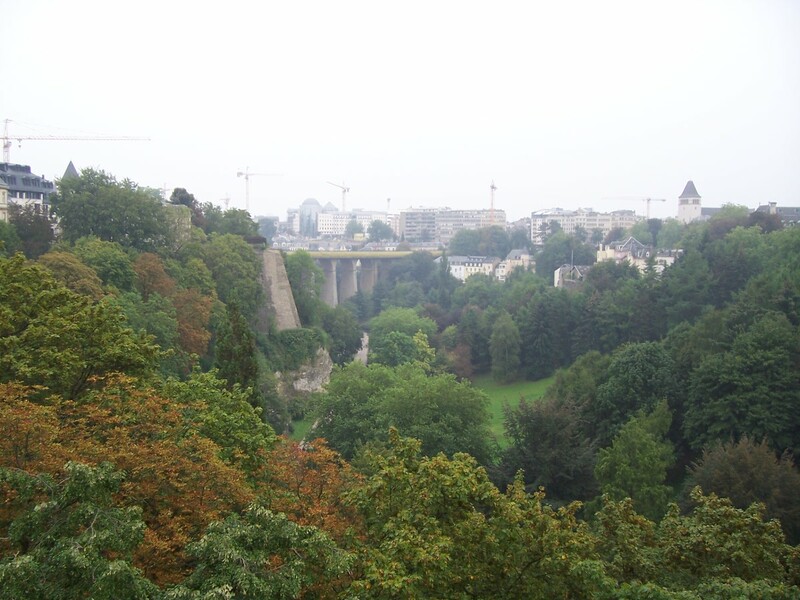 From its history as one of the major battlegrounds of World War 2, to its role as one of the major finance centers of Europe, Luxembourg is more frequented than it’s small country cousins. That doesn’t make it any larger than it is though. Coming in at 30th smallest country in the world, Luxembourg packs a lot of history – and money – in a small area. 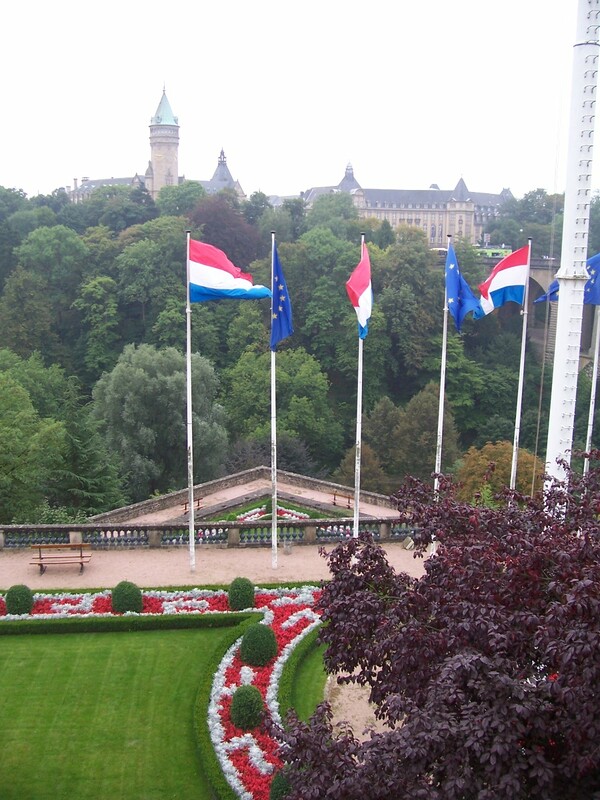 Luxembourg City is a wealth on display powerhouse that does actually have rail and air hubs due to financiers and diplomats arriving daily. The country is also a must stop for war history buffs with battlefields and memorials throughout the countryside. ...stay for the history and beer. With Luxembourg’s location in the Belgium, Germany and Holland neighborhood, beer is an important drink in Luxembourg. When I traveled there though, I was expecting a more Belgian ale flavor. What I was met with though, was a menu of local German style lagers – and a few Belgian ales. There are 8 breweries in Luxembourg ranging from commercial breweries to microbreweries. They range in age for breweries goes from 1762 (Bofferding Brewery) to 2015 (Capital City Brewing) and for a small country, the beer is easy to find. When touring the low countries for beer stops, Luxembourg is a must stop to see how folks with the highest GDP in the world live, and what kind of local beer they are drinking. Is the pope brewing beer under the Vatican Obelisk? Haha, no there is no brewery in the Vatican – that we know about. There is an official brewery for the Holy See though in a monastery outside of Rome – though we’ll never be able to get our hands on or probably ever see the brew from there. Beer is – or at least was – available in the Vatican Museum cafeteria,and although it’s a pretty straight forward Peroni, it’s still pretty cool to have a drink with the Pope. Plus it’s the smallest country on Earth so I had to toss it in. Perk up beer fans. No matter the size of the country, someone is producing local beer for you to try. No more skipping past countries that are just dots on the map. There are things to see, shops to be, well, shopped at and beer to be drunk in countries you may have never heard of or considered stopping in. It is a small world after all!